The ultimatum issued on July 1st to the head of state by General Abdel Fattah al-Sisi has placed the army in the center of the board in Egypt. Essential before, she returned in the shade with the election of President Morsi last year, until popular discontent forced him out of its reserve. But what is the role of the Egyptian army, why the people support it that much? Ahmed Hassan is a journalist in Cairo, he explains that back in favor of the army. An interview conducted by Dorothy Haffner for ARTE Journal. ARTE Journal: How is the support of the people in the army? The Egyptians have forgotten the crimes committed by the army in 2011, their inability to resolve the country's economic situation? AhmedAhmed Hassan: After a year of the Muslim Brotherhood to power without the opposition does not offer alternatives, Egyptians have lost faith in politics. They see the army as the only way to save the country, stabilize it, and help the economy to recover. Of course there is a fear to see the military return to power, but we hope the army learned a lesson from the events of 2011 and establish a temporary Presidential Council, organize a new constitution worthy of the Egyptians and after the parliamentary and presidential elections. Egyptians want stability at all costs? Who will take Morsi down? The army and the people? It is the people. What we feel in the street is the will of the people, of course, supported by the army, but the source of legitimacy is the people. At least 17 million Egyptians went down to the streets for three days. And then the military statement is very clear: the army does not want to be part of the political life and it doesn't plan to that. But as is its role to protect the people, it will decide on a roadmap and guide its application. The Egyptian army is not interested in politics as people think. it is interested in keeping its privileges under the Constitution, which means its budget remains secret and to keep control over its economic projects. Once Morsi is gone, Egypt would finish with the Muslim Brotherhood? Maybe, but it would be a big mistake to ignore 5,000,000 Islamist voters who elected Morsi a year ago. Their current errors arise from the fact that they did not have the opportunity to speak before. The best would be to absorb them in the Egyptian society, they have the right to be represented as everyone, do not isolate them. The revolt could be put into stand-by, so to speak, with the start of Ramadan soon explode or otherwise for good? Ramadan begins in about a week. By then we'll know if the Muslim Brotherhood regime ended quietly or there has been a bloodbath. Or it will be a quiet Ramadan because everything will be resolved, or it will be a bloody Ramadan. Panicked at the prospect of facing a new wave of violence, the Egyptians did not have so far forgotten their sense of humor. At sidewalk cafes in downtown Cairo tells this joke: "An Egyptian met Mohamed Morsi and he lists the current problems of the country: the economic crisis, the collapse of the tourism sector, the flight of investment, lack of gas, power outages ..."And what can I do? ", replied the president. "Resign" replies the man. " The story sums up the moral of the Egyptians, which oscillates between determination and resignation. Dimanche is a day of mobilization against the President, on the occasion of the first anniversary of his accession to power. Tens of thousands of protesters are expected in the streets of Cairo. The capital saw already immersed in a similar anxiety before a hurricane. Most shops have lowered their thick metal blinds, only grocery stores remain open to supply families refuel like to take a seat for several weeks. Children throwing worried glances skyward where police helicopters, which monitors and photograph sensitive areas could arise where a riot start circling. Sign of a climate of extreme tension that exists across the country, clashes between supporters and opponents of the head of state began on Friday evening in Alexandria, where three people were killed including an American of 21 years, teacher at the American Cultural Center. He photographed the premises of the Party "Freedom and Justice" (Muslim Brotherhood) then burned when a knife was fatally shot in the chest. Because of the tragedy, the U.S. State Department announced the repatriation of some of its diplomats in Egypt. From Johannesburg, Saturday, Barack Obama expressed his "concern" about the situation. At the origin of this revolt against Morsi, young laics launched the campaign "Tamarod" - literally "rebellion" - which for two months travel around the country, the underground corridors to those companies with in hands a petition calling for resignation of the President. They have got 15 million signatures (they claim 22 million). "All that interests Morsi and his terrorist allies, is to lock the country into a dictatorship that will ensure only the interests of the Muslim Brotherhood clan, indignant Ahmed El-Masry, one of the instigators of the campaign in the popular district of Shoubra, in northern Cairo. They threaten us with death, want to remove our freedom of expression, but they will not succeed. " In the street, the young man distributing red cards on which is written the word slogan of the 2011 revolution: "Get out." "Mohamed Morsi wants us to teach us our religion, it is not what we expected of him, gets angry on his side Adel Saeed, a retired teacher. His speeches are seedy, filled with grammatical mistakes, he is not worthy for Egypt. " Faced with this attack, supporters of the president launched a conter-attack against the petition called Tagarod ("handedness"), which have collected 11 million signatures. 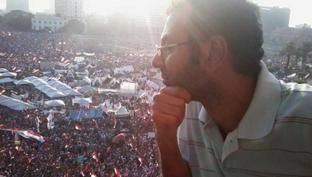 Ahmed Hosni, an Islamist engineer held for ten years in jail under Mubarak, discusses the end of Sunday confident down the rhetoric of the Muslim Brotherhood: "The Egyptians have democratically elected Morsi But our Constitution says that he has a mandate. four years. Request his resignation goes against democracy. " He and his peers will demonstrate at the Rabaa al-Adawiya mosque in the district of Medinet Nasr, very close to the presidential palace, where opponents of Morsi planned to meet. While the clash looks inevitable, the fate of the country rests in the hands of the army, blowing in her hot and cold statements. General Abdel Fattah al-Sisi, Minister of Defence, announced last week that the military would act to "protect the people's will." A message of support to the protesters, as a part of the opposition, who dreams of returning to power to end political instability, understood. And the Egyptians invent this new joke: "Soldiers, if you come again, this time just with airplanes, we have already been taken in photo with your tanks." An article written with Marion Touboul for the french newspaper "Le journal de Dimanche"
The Egyptian writer, famous for his novel "The Yacoubian Building" (2002), took an active part in the revolution in his country in 2011. He gives, bluntly, his analysis for the after Arab Spring and the challenges facing Egypt. Between optimism and caution. You anticipated the explosion of Egyptian society before the revolution in your book "The Yacoubian Building". What do you think of what is happening in Egypt? A revolution means a deep change not only at the political level but also at the human level. This change takes time. I am optimistic despite the disappointment to see the rise of the Islamists and their fascist policies, but we're never going back. Egypt will never be led by a dictator. You mentioned that Egypt is currently going through the "third wave of the revolution." What do you mean by that? The revolution for me is not an event that has a specific date. It is a long process which will be completed once we have obtained the objectives of the revolution. The first wave of the Egyptian revolution was the fall of Mubarak's regime. The second wave is the one that pushed away the Supreme Council of the Armed Forces, which has ruled the country for 18 months after Mubarak. The third wave is now and it intends to bring down the Muslim Brotherhood and build a civil state. Should the Egyptians overthrew Mohamed Morsi as they did with Mubarak? I am against the overthrow of President Mohamed Morsi who was democratically elected. It is not the purpose of the revolution. But we must push Morsi to be the president of all Egyptians, not just the Muslim Brothers. Since he came to power, he acts like if he is above the law. Do you think that the Muslim Brotherhood has learned from the mistakes of Mubarak? In my opinion, they have learned nothing. They lose every morning a little more sympathy from Egyptians. If you look at the results of the referendum in March 2011, it shows that they were very popular and the street listened to what they want, whereas referendum in December 2012, with all the fraud they organized, almost 40% of Egyptians said no to their ideas. What's great is to see the Egyptians, after ten months, understand the difference between the Islamists and Islam, I thought it would take longer. Impossible. Egypt is a country with 7000 years of history based on tolerance that Islamists can not erase. In addition, Egypt is a civil state since the nineteenth century. How do you see the role and attitude of the military towards what happens? It is very difficult to understand the position of the army. It is necessary to distinguish between the army, which is loyal to the people, and the Supreme Council of the Armed Forces, which has surely reached agreements with the Muslim Brotherhood to enable them to gain power. Is that the army can make a coup? This is the big question. If this is the case, it would be a disaster because it would mean the failure of the revolution. You were among the founders of the party al-Dostour, are you still an active member? It's very complicated. I am a writer and I want to be free to express myself. I refuse to be a member of any political party and I refuse to have a post in any government. My role in the party is to help leaders to establish popularity in the Egyptian street. So we can say that I give advice and when the party will be strong, I will leave permanently. Al-Dostour says guarantor of the revolution and the civil state but is criticized for its alliance with the politicians of the former regime. How can he win the confidence of the revolutionaries? I totally understand that criticism, but we must clarify two points: Amr Moussa, the former head of the Arab League and former foreign minister at the time of Mubarak, has never been corrupted. Second, the current struggle is not between revolutionary and anti-revolutionary. It is a battle between Egypt and the Islamists with frontline Muslim Brotherhood. Our fight now is to defend ourselves, defend the revolution and defend the country. Do the Muslim brothers have plans to "liquidate" their opponents? I do not know, but I can say that personally, I received two death threats since Morsi was elected president. I think they will not do it now, it would be too big. But in the long term perhaps. How do you see the new constitution? Horrible. The Muslim Brotherhood took over the constitution. They choose the committee that wrote it. And then they defrauded the referendum on the adoption of the constitution. This constitution is absolutely not viable because it reflects only the thought of a single political movement in Egypt. What do you think of the last cabinet reshuffle? Is it for the future of Egypt? The reshuffle proves that the Muslim Brotherhood follow the same steps that Mubarak took to calm the people when he changed heads but not politics. The manner in which the Muslim Brotherhood see things reminds me of Stockholm syndrome when it begins to idealize his torturer. How do you see the next parliamentary elections? Muslim Brothers know that they are much less popular than before. For this, I think they will defraud parliament elections. But the Egyptians will never accept lies anymore. How do you see the future of the Arab Spring with the rise of Islamists? It is normal that the Islamists are on the front of the stage. They were oppressed. peoples wanted to give them the chance. In addition, they were the only organized force after the fall of regimes. Over time, people discover that Islamists use Islam as camouflage to make political interests. I'm sure that the Islamists will lose at the medium term. And I'm sure that the end of political Islam, financed by oil money, will start in Cairo. What would you advise young people to succeed in their revolution? My only advice is to not compromise. We need that young people continue to put pressure on the politicians to realize their ambitions. Since 25 January 2011, all the right decisions were taken in Egypt thanks to pressure from the youth in street. This article was written for the french magazine "Courrier de l'Atlas"
"To this day, I can not understand how the Egyptians were able to revolt January 25, 2011" This is what Namir Abdel Messeeh, director of "The Virgin, the Copts and Me", says when he is asked if he felt the approach of the revolution. After two short visits to Egypt post-revolutiont, Namir, whose film won several awards, says there are no portraits of former President Hosni Mubarak and the current President Mohammed Morsi either. He sees that the current economic and social situation is catastrophic, everyone is unhappy. "But I think this is positive. Egyptians speak openly and without fear, and they have the ability to change the regime does not respond to their aspirations. But there is still a long way to go. " 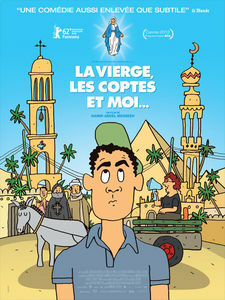 "The Virgin, the Copts and Me" is a film of 82 minutes. It talks about the phenomenon of "the apparition of the Blessed Virgin" from time to time in Egypt and how the Egyptians, Christians and Muslims see this phenomenon, which began in 1968. 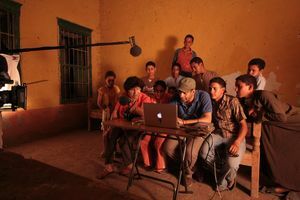 The film, which shooting began in 2007 and was completed two months before the revolution of January 25, 2011, covers in an ironic way many issues yhat concerns the Egyptian street, such as social justice, belonging, fear of the authorities, the relationship between Christians and Muslims, women, and freedom of belief and expression. All this through the relationship between Namir and his family, and the situation resulting from the conflict between generations, and the difference between his french culture and the culture of his family in Egypt. The film was named best documentary fiction at TriBeCa Film Festival in New York, and won the 3rd prize in the Panorama Audience Award at the Berlinale 2012. It also won three awards at the Ismailia International Festival for documentary films and short films, including the award for best documentary. 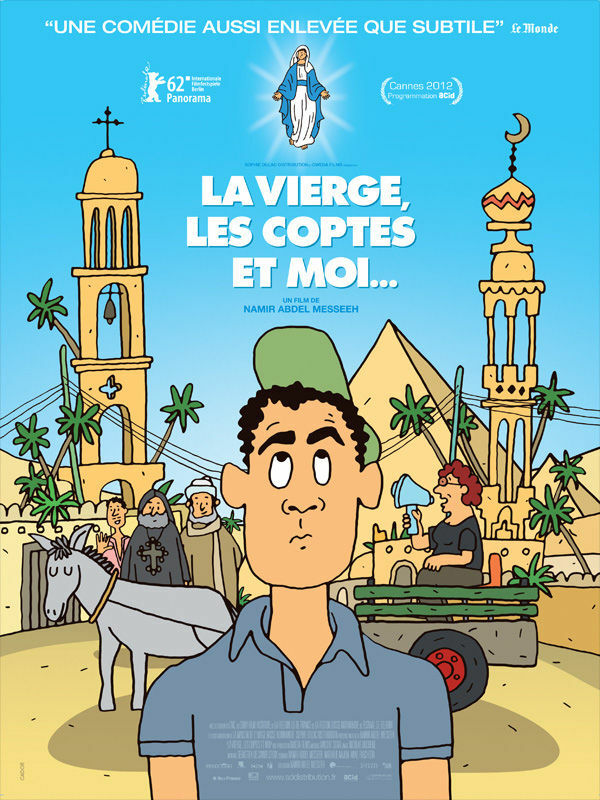 "The Virgin, the Copts and Me", which was presented at the Cannes Film Festival, has reached more than 50,000 admissions in France, despite being exposed in small rooms. 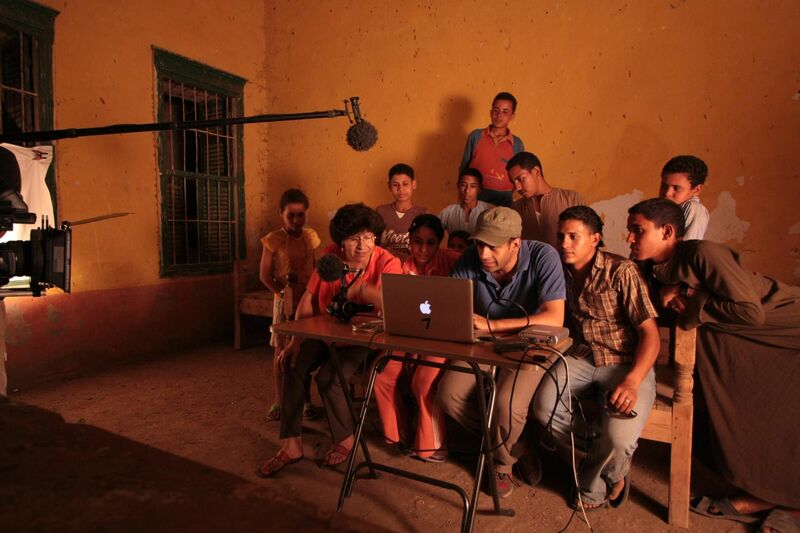 "This film is a search into my Egyptian roots. I left Egypt when I was 18 or 19 years. At the time, I had an identity crisis. I felt French while living in Egypt and Egyptian when I am in France. 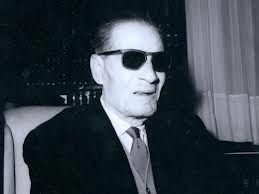 I have not found my place in the two societies, "said Namir. "At that time, I refused to live in Egypt, where society rejects those who are different in thoughts or beliefs." Having grown up, Namir noted that the case is more complicated than the simple difference. "So I looked for an opportunity to return to Egypt and restore relationships with my family. Hence the idea to make a film about Egypt. But what? ". "The idea came up during a Christmas party, when a Coptic friend living in France visited us and showed a video on the appearance of the Virgin Mary in a neighborhood in Cairo. I saw nothing in the video, but my mother swore he saw the Blessed Virgin in the band, "said Namir. "It made me think about it the next day, and I said there was a possibility of making a film: There is a video, and people do not see the same thing in this video. So, I presented the idea to producer and I told him that my goal is to understand why my mother and I have not seen the same thing. He said that the idea is good, but what is the film about? Is that it is the Blessed Virgin or is it your mother? My answer was that it is the Blessed Virgin ...Even if the adventure film forced me to bring my mother. Namir was born in France in 1974. He lived until the age of eighteen between Egypt and France, then moved to Paris. He studied the cinema at the Fémis, where he was graduated in 2000. In 2005, he directed his first documentary titled "You: Waghuih", which speaks of his father, and the same year he also made his first short film is "something wrong". 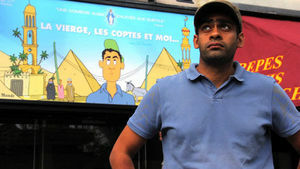 In his docu-drama "The Virgin and the Copts and Me", Namir gives the impression that he criticize the situation in Egypt. But he denies it completely. "I tried to understand Egypt and the Egyptians," he says, "You find that the film is full of irony. My idea was to see what happens with astonished eyes. For this, there are scenes or the Egyptians say they are all brothers while other scenes show the opposite. " But how does he sees Egypt after 15 years of absence?According Namir, the Egyptian is divided into two. "There is a gap between what the Egyptian thinks and what he says, and the problem lies in the personality resulting from this mixture," he says. "The Egyptians are living in the middle of many contradictions ..But the question is how to manage the hypocrisy of himself, whether in religion, politics, etc. .. ?". While the Egyptian justify this hypocrisy that they are forced to do it, Namir sees it as evidence of the strength of the Egyptian, deprived of all his rights by the Egyptian authorities. "It surprised me that no Egyptian ever upset when his bus is delayed for four hours, and thinks it is even normal, and if the bus is on time, then it is a miracle" he said. "I discovered that the Egyptians developed a philosophy in their daily lives, that they must accept all that is negative without getting angry." For Namir, the Egyptian is not revolutionary or rebellious by nature. "He can fit with any situation possible." During the 4 years of filming, Namir was shocked by the fact that his french passport has saved several times and if he didn't have it, then maybe he was detained or tortured. 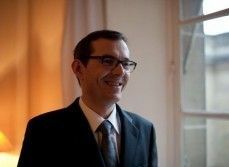 "One of my cousins told me that if we were attacked as French, the army and police would have surrounded the village to find the perpetrator in less than 24 hours. Whereas if the attack is against my Egyptian family and 50 people died noonr will move ... It's sad to hear my cousin say that our life is 100 times more precious than their lives in the Egyptian authorities. " Namir still remembers the moment when he was shooting and a policeman from the Security of the State, the intelligence service of the Ministry of the Interior, came to see him. "He was in civilian clothes, except he had a gun. He asked me who I am and I asked the same question in Arabic. He got angry and asked another officer to prepare a minutes against me and to put me in jail. There I started to speak French and I pulled out my French passport, which saved me. " Namir learned something from this incident he should not show that he is Egyptian in Egypt. Even if Namir has finished filming two months before the Egyptian revolution, and despite the scenes where people complain about the deteriorating economic and social situation, he never felt that the Egyptians will revolt. 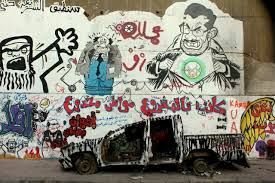 "Instead, I was wondering all the time what is this country where people never revolt against the hard life they face, when it annoys me to see all these portraits of Mubarak in the streets ?I thought their fear of the authorities prevent them from rebelling. In addition, they were always observed by the security services. While filming in my village, my cousins were afraid of what I was shooting. And one of them was forced to write a report to the police about what we do and what we will do next, or the impact would be devastating. " After his return to Egypt, Namir felt the escalating tensions between Muslims and Christians. "I found that hatred dominates the discourse on each side, but I found that much of this hatred is based on rumors.One of my cousins told me horrific stories about what the Muslims do to Christians, and every time when I asked him if he lived or saw it with his own eyes, he told me he heard the history, "he says. "What bothers me most is that this hate speech fate of some places of worship, in both sides, then these places should spread the culture of tolerance and love." But Namir denies neither the existence of real problems between Christians and Muslims nor the reality of the minority against the majority. "These problems are due to faults of education, education and culture. The extremists are in both sides, and we have to not give them the legitimacy or the chance to represent us. " Namir was anxious to broadcast his film in Egypt in the hope that the Egyptians like it, but he was by e confronted by strange opinions. "There was this Christian who loved the film to the point that he asked me to circulate it in all churches of Egypt. But the same person was adamant that Muslims see it for the simple reason that I admit in the film that I do not believe the stories of the apparition of the Blessed Virgin, "he said. According to Namir, this attitude is due to hate speech, which makes the people from the same community can no longer speak of their differences publicly for fear that the other community mocks them. Namir addes that before the release of the film in Egypt, he thought it was the Muslims who will attack the film. "Instead, they liked the film. These are Christians who criticized it severely. Worse, a Christian told a Christian TV channel that he will not watch this movie because it defames Christianity. How he knows without seeing ? "He insists. "Another thing surprised me. When I released the film in my village, Christians loved it. So it is in Cairo, where Christians are more educated and more open, the film was attacked. In his film, Namir was looking for a Muslim girl to play the role of the Blessed Virgin. He justifies that by his intention to get out of Community framework within which the Egyptians runs all the time. "My goal in the film was to show that the inhabitants of the village, Christians and Muslims are alike in many things. When I looked for a girl to play the role of the Virgin Mary, Christian families, as well as Muslim families, refused that one of their daughters to be filmed for girls not attending men before marriage ... a reason that has nothing to do with religion, but rather with the culture, "he says. The film gives the impression that the director's mother is ashamed of her family of farmers. Namir see that all the Egyptians came from fermers families. But when the Egyptians get a very high degree and live in upscale neighborhoods, most of them are trying to forget their origins, especially if they come from a poor background. This has created, he said, a kind of discrimination against the poor. "A priest told me, after seeing the film, it should not show the poor Christians because it will give a bad image to Christians in general ...A speech that is not consistent with the Gospel, "he says. "When you go out to shoot the Egyptian street, and by chance you pass next to a trash can, you will find many people prevent you from shooting because they are convinced that you film the junk in order to give a bad image of Egypt.But what they do to get rid of the trash or even prevent it from being thrown into the street ?The Egyptian mocks his poverty, misery and injustice he faces, but he refuses to be filmed like this ... ", he concluded. Like every time a Chinese won a Nobel Prize, a controversy triggered. We have experienced it in 2000 and 2010 respectively with Gao Xingjian and Liu Xiaobo. This year, the appointment is with Mo Yan. 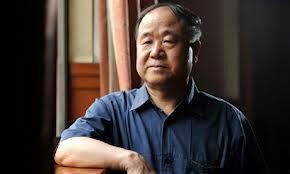 If Beijing applauded the decision of the Swedish Academy to award the Nobel Prize for Literature in 2012 to the chinese novelist Mo Yan, this choice has not rained for Chinese dissidents. The "People's Daily", the official newspaper of the Chinese Communist Party, has immediately hailed his award and sent his "congratulations" to Mo Yan. "He is the first Chinese writer to win the Nobel Prize in Literature", greets a visitor to the site of the official daily newspaper. But why Beijing is pleased with the decision? Mo Yan, whose nickname he has chosen means "The one who does not speak", is deemed closer to the Chinese government, which does not recognize freedom of expression. A reputation he does not deny. Long time soldier in the People's Liberation Army, Mo Yan respects a regime that allowed him to get out, through the army, his poor and illiterate peasant conditions. In addition, Mo Yan has also not shown in its support for the Chinese intellectual Liu Xiaobo, who remains in prison for "subversion", and the fight for human rights in his country. Guan Moye, the real name of Mo Yan, is not really the first Chinese Nobel Prize for Literature, in 2000, Beijing had not appreciated the award to Gao Xingjian, a writer born in China, dissident naturalized French. And in 2010, the Nobel Peace Prize was awarded to Liu Xiaobo, a price that was downright provoked the fury of the Chinese regime. Mo Yan's reputation of pro-regime has been criticized Chinese dissidents. A few hours before the announcement of the prize, the lawyer Teng Biao said that Mo Yan "sings the same song as the non-democratic regime." He even thought it would be "inappropriate" to award him the Nobel. And if Mo Yan called. just after the announcement of the Nobel Prize for Literature in 2012, for the release of Liu Xiaobo, the dissident artist Ai Weiwei has shown the least bitter towards his compatriot, holding that the Nobel Committee had erred in awarding an author who bears "the task of government." "Mo Yan said he had nothing to say about Liu Xiaobo. I think the organizers of the Nobel withdrew from reality this award", he commented. Even in the Chinese street, the controversy did not stop. The news of his award unleashed Weibo, the Chinese Twitter. In less than two hours, more than three million comments were posted on the social network, as shown in the french newspaper "Le Monde". Feelings are mixed: some welcome this "honor" which also goes to the Chinese language and Chinese people. Others are bitterer, saying that they were disconnected from the Nobel site wanting to see the page on Liu Xiaobo. Some go even further and suggest giving "the Nobel Prize for Literature" the next time to a writer from North Korea. 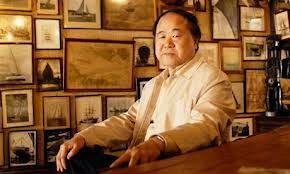 But things may be a bit more complex: Mo Yan "is a free man, free in his mind and in his writing, which deserves international recognition", said Pierre Haski on Rue89. "Some of his books, including Beautiful breasts, beautiful buttocks were censored", he adds. For her part, Sabine Delanglade wrote in the editorial of Echos that Mo Yan's rural childhood "in the Great Leap Forward" (stalling the stomach with coal dust) do not make him a friend of the regime. "But because of his job in the army (he did not leave until 1997) he could start writing more than 80 novels and short stories, which compensates and makes that dissidents regret the lack of support of one of the most famous Chinese writers in the world", she believes. For its part, the french magazine "l'Express" sees that Mo Yan has mentioned in his novels sensitive issues in China. "In his recent book Frogs, Mo Yan evokes the politics of birth control in China, however, a subject that has ceased to be taboo a few years ago", writes the magazine. "In Sorghum Clan, he speaks of the Japanese invasion, and he criticized the leaders of the Communist Party in the Country of Alcohol." For Sean Rose, from France 24, even though Mo Yan does not stand away of power, he wrote and always says what he thinks. But what Mo Yan himself thinks? "I write in China led by the Communist Party", has defended the writer, adding: "My work since 1980 clearly show that I write from a perspective that is the human being". 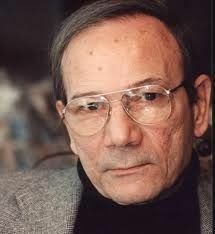 He believes that many of his critics have not read his books. "If they had read it, they would have realized that they were written under pressure and they exposed me to great risk", said the Nobel 2012. The spokesman of the party "Freedom and Justice", the political wing of the Muslim Brotherhood, Nader Omran, said the presidential candidate Mohammed Morsi is against the imposition of restrictions on freedom of creativity and innovation as long as it goes along with the customs and traditions of Egyptian society. And Omran said that the imposition of restrictions on creativity means the death of arts and culture. "The writer and artist need freedom so they can give free rein to their imaginations", he added. According to Omran, if Morsi was elected president of Egypt, it will have no impact on cultural life in the country. "The intellectuals and writers should not be afraid ... After the revolution we have not banned the serial al-Jamaa, which criticizes the Muslim Brotherhood and the Brotherhood's founder Hassan al-Banna, which proves that we accept the opinions of others", he said. Regarding legal proceedings filed against certain artists, according to which they undermine Islam, Omran denied any link between Muslim brothers and trials. "I do not know why some try to get us involved in this kind of question. The complaint was filed by a lawyer who is not a member of the Brotherhood, against an artist who does not belong to the Muslim Brotherhood and the verdict was taken by a judge who is not part of the brotherhood, then what is the relationship with us", he asked. The investigator in the field of Egyptian heritage Abdel Aziz Gamal Eddin said that the revolution is the steady pace in the history of Egypt. According to Gamal Eddin, revolutionary culture is rooted in the Egyptian, who always tries to improve his social status, confront injustice or fight against the occupier. "The Egyptians never stop rebelling against injustice and oppression", he says. And Gamal Eddin added that Egyptians are very aware when they rebel. They know when it is to stop. "When they see that the confrontation will lead to the destruction of the country, they stop. They do not accept the collapse of the state", he says. "At the same time, history shows us that when they feel the force does not help them to achieve what they want, they start looking for an alternative way to continue their revolt, such as civil disobedience". Gamal Eddin said that the Egyptians resist in many forms. "It can be violent, as it can be in the form of art or literature", he says. "The graffiti artists are inspired now by etched designs on the Pharaonic temples, to express themselves regarding what is happening in the country. This proves the continuity of Egyptian culture and unity throughout history". According to Gamal Eddin, the Egyptians are like the Nile, which overflows in some time before being calm again. And when it faces an obstacle, it turns around to continue its path. "For example, the Egyptians never stop asking a genuine constitution for the country since the revolution of 1919 until the revolution of 25 January 2011", he said. And Gamal Eddin added that the revolution of 25 January 2011 has helped to publish his book "The revolt of the Egyptians to the era of Maqrizi. "I wrote this book long time ago, but no publisher wanted it, and after the revolution, they remembered the book and contacted me to publish it", he says. The author states that the book is not an account of the revolutions that took place in Egypt since the time of the Ptolemies until Maqrizi. "I tried to describe minutely, administrative and economic situation in the country availed during this period so that the reader can understand the reasons for each revolution. The book therefore addresses the history of Egypt as a whole during this period, including the conflicts in the royal courts", he says. Gamal Eddin said that the book starts from the Ptolemaic period, although there are revolutions at the time of the Pharaohs, because, according to him, the revolutions against the Pharaohs were not major eruptions. "They were only protests. In addition, there is no documentation for these events", he says. The author noted, during its production of the book, that the northern region of the Delta has always been the place where the Egyptian revolutions trigger. "Usually, this is the region that bears witness of the fiercest fighting during the revolution", he says. The author notes that he was interested in his work, by the differences between the Egyptian language and the Arabic language as a form of cultural resistance adopted by the Egyptians until today. He explains that the Egyptians have exported their culture and religion to the three monotheistic religions. "They also wrote their language in Arabic", he adds. According to Gamal Eddin, it is not true that the cinema was the reason for the spread of the Egyptian language in the Arab region in the 60s, as some claim. "The cinema was a contributing factor. But the Egyptians have spread their language much earlier than that. They always influenced the region since the foundation of the ancient Bibliotheca Alexandrina. Even the Greeks were influenced by the Egyptian language to the point that their great poet Cavafy wrote in demotic Greek, touched by the ancient Egyptian language. And Gamal Eddin adds that al-Azhar also played a major role in the deployment of the Egyptian language. 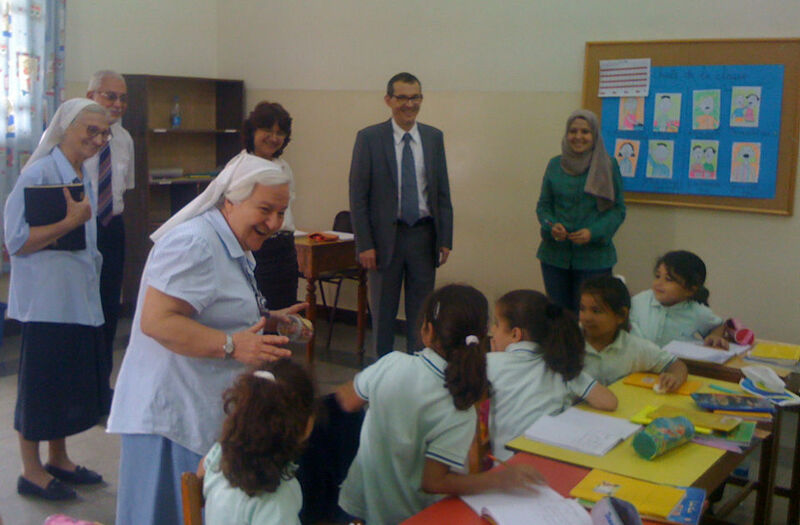 "The institution receives thousands of students from around the world who come to Egypt and live with the Egyptians". According to Gamal Eddin, saying that the Egyptians speak Arabic is false. For him this one os among the looting of the Egyptian culture. "This is a big mistake. Egyptians speak Egyptian language which has absorbed Arabic vocabulary. besides, Egyptians have changed the pronunciation of these words". The author adds that the Egyptian language is full of French, English, Italian, Spanish, Persian and Turkish words merged with other Arabic and Pharaohs words. 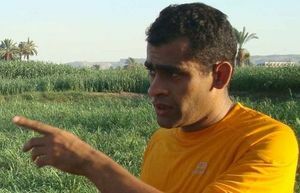 About what he says in the book on the conquest of Egypt by the Arabs, which he considered an invasion, and the egyptian resistance to the Arabs, which may provoke the Islamists who are leading Egyptian political life since the revolution of January 25, 2011, Gamal Eddin mocks their opinion. "It was not me who said that, it is Maqrizi, a Muslim historian who said it centuries ago. If they want to judge someone, so this person will be Maqrizi. ", he adds. "If they create a problem with this, it would be a proof that they had not read anything wrote by former scholars". And Gamal Eddin said that the problem of Islamists in Egypt is their inability to separate the fact that the person may be Egyptian and Muslim.